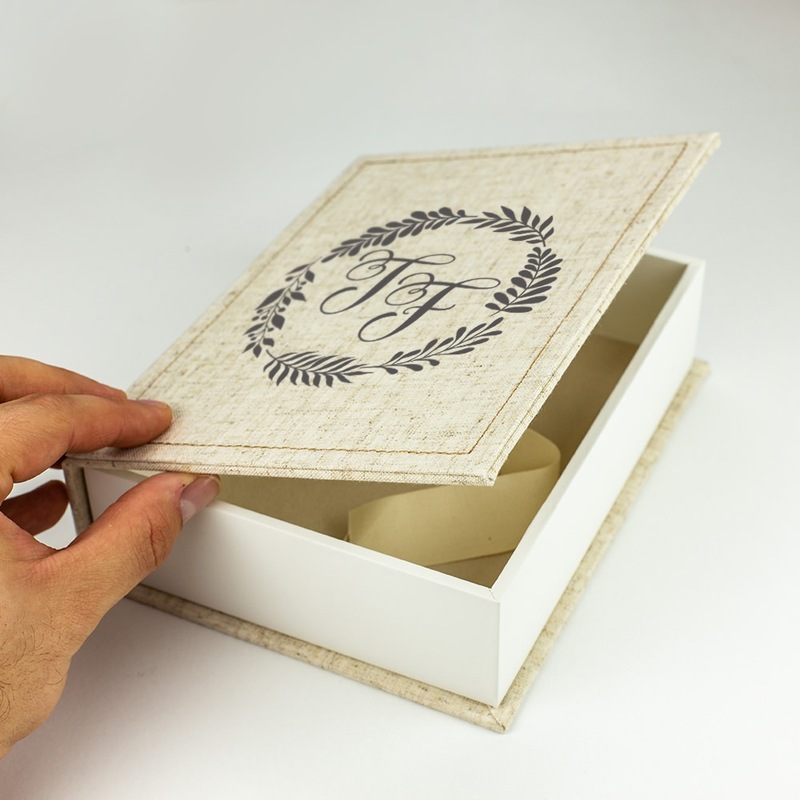 If you need a wedding photo box that’s going to last aesthetically and holds a large number of photos, the Splendor is for you. 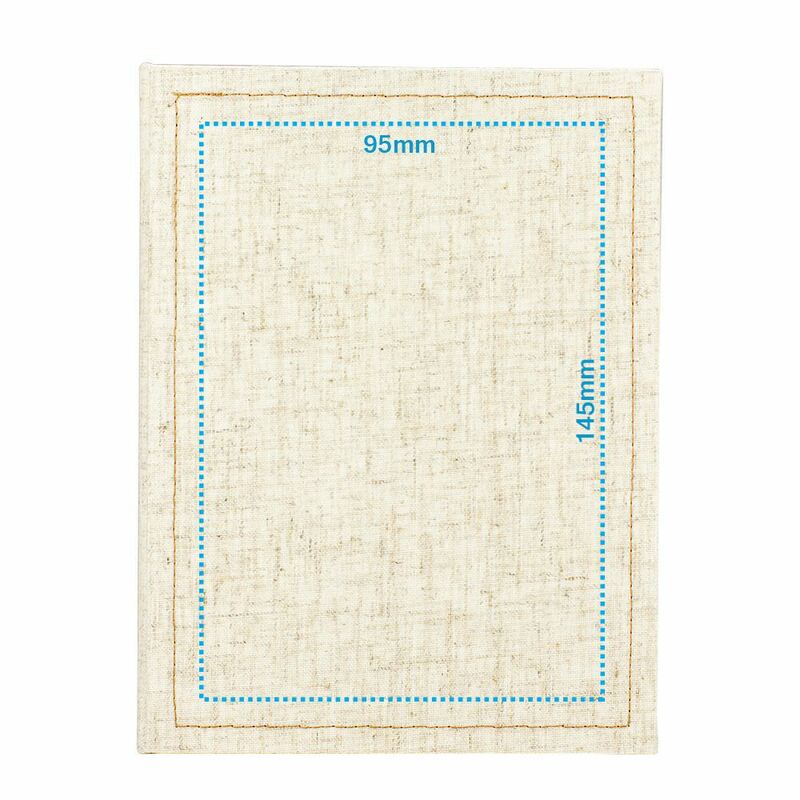 It comes in a fine creamy linen fabric that goes with everything. 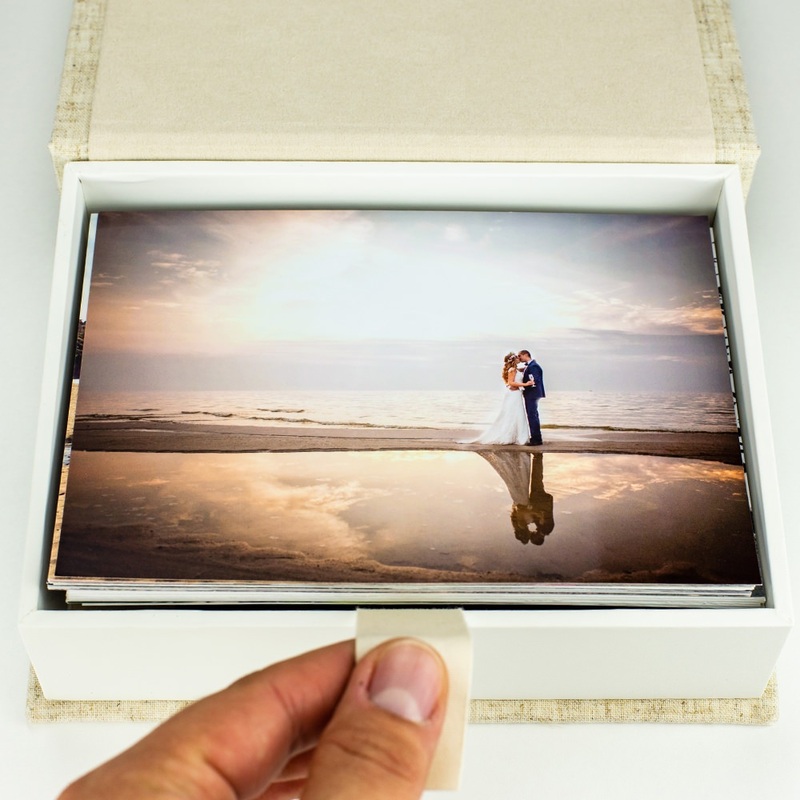 It can hold up to 175 4 x 6 photos, so your client can thumb through their favorites without an issue! 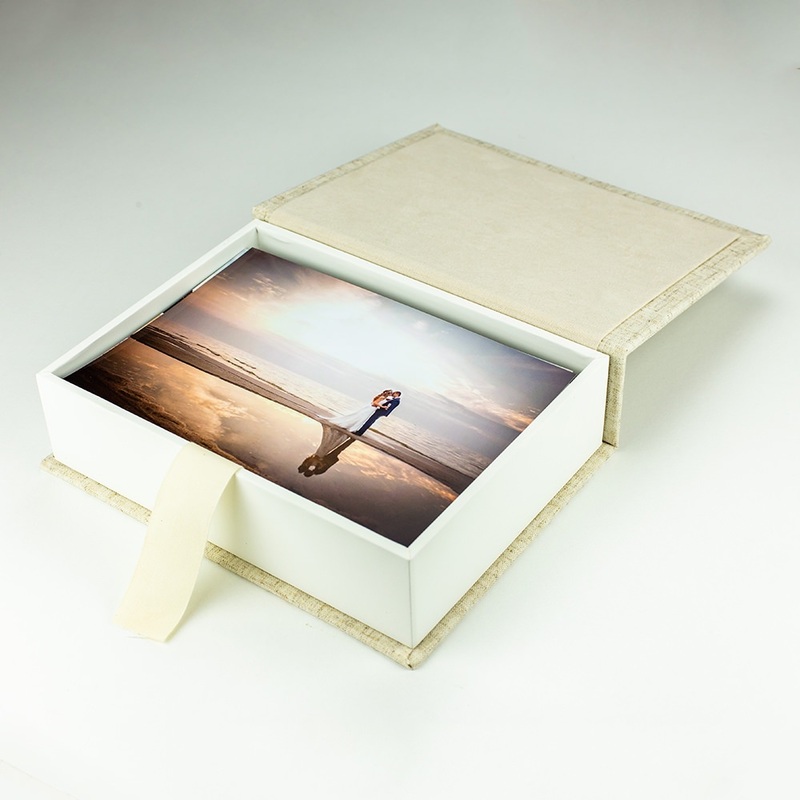 The Splendor is an excellent option for photographers looking to present their work to their clients with style. 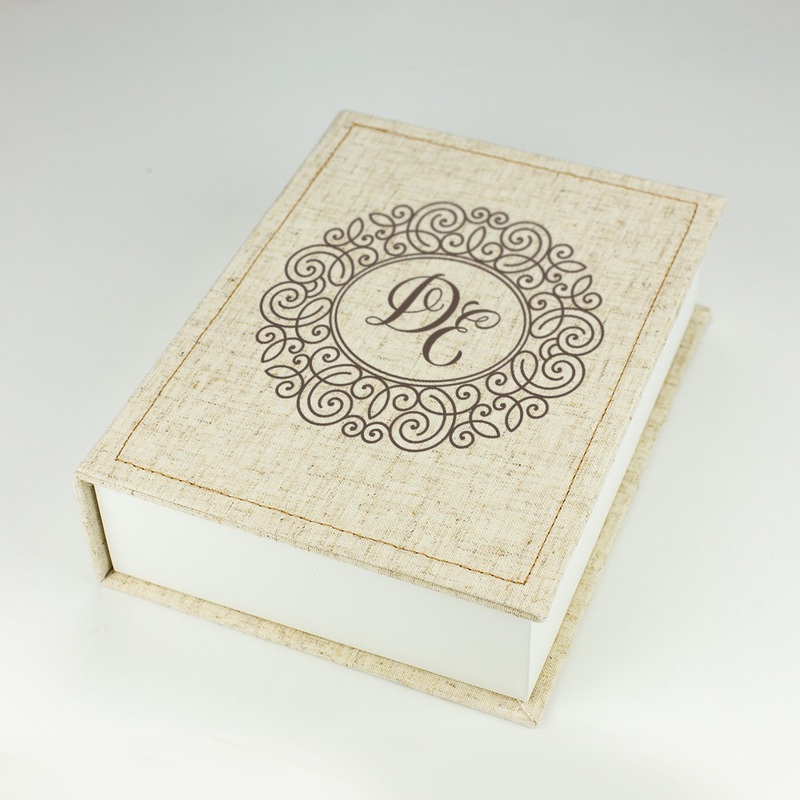 It is a well sized box covered in fashionably neutral linen, edged with a natural brown stitching to draw your eye. 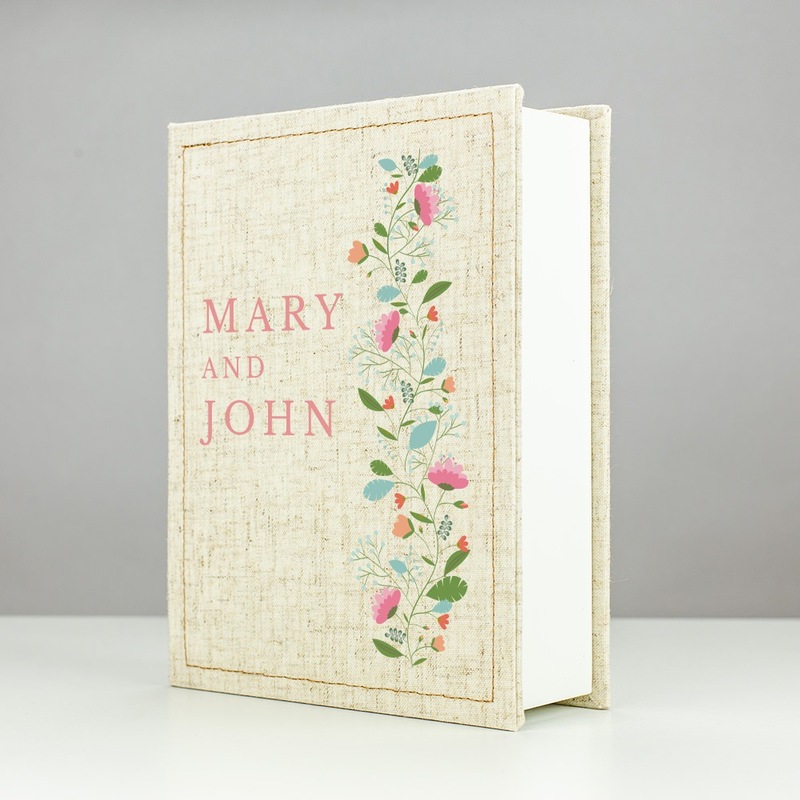 It is lined with ivory touch paper and matching velvet and includes an ivory cotton ribbon to keep photos stacked neatly. It holds up to 175 4 x 6 photos so your clients don’t have to make difficult decisions on which photo gets printed or not!